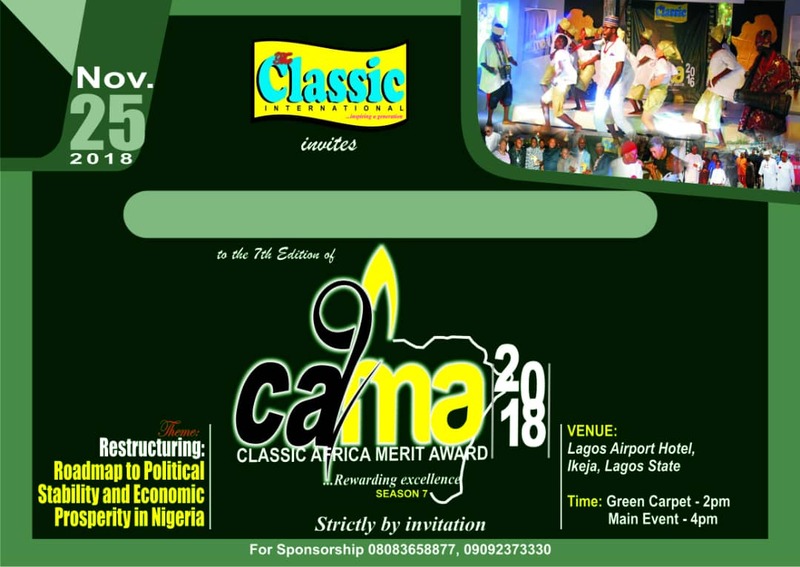 All is now set for the 2018 edition of the much talked about prestigious award ceremony in Africa, Classic Africa Merit Awards (CAMA), slated to hold today Sunday, 25th November 2018, at the popular Airport Hotel, Awolowo Road, Balogun Bus Stop, Ikeja, Lagos, by 2PM. The highly innovating annual event, established in 2011 by Digital Solutions, the publisher of Classic Magazine, under the leadership of Dave Agwazim, is set up to honour the important personalities, companies, institutions, governance, business, entertainment and others, who put in their efforts in driving the Nigerian economy to zenith; this is due to their significant contributions to the sustanance and growth of Africa's business environment. 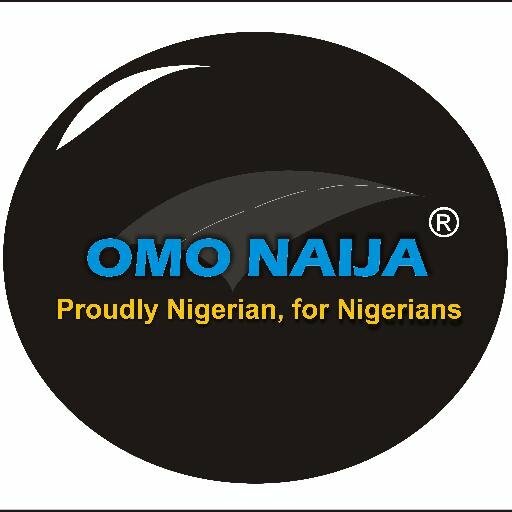 Who will be doing justice to the 2018 theme, "Restructuring; Roadmap to Political Stability and Economic Prosperity in Nigeria". The Chairman of the occasion is Dr Iyke Kanu, Managing Director/CEO of Etoks Communications. Other expected special guests to grace the occasion includes Dr. Okezie Ikpeazu, Executive governor of Abia State, Bishop Tom Samson, Bishop Anene Nwachukwu, Hon. Mudashiru Obasa, Speaker Lagos State House of Assembly,Commissioner for Women Affairs, Lagos, Hon Lola Akande, Commissioner for Transportation, Hon. Ladi Lawanson, Senator Duro Samuel Faseyi, Hon. Omobolanle Akiyemi-Obe, among others. Renowned entertainers, Koffi Idowu and Iyabo Ojo are the official MCs to officiate the event like no others.